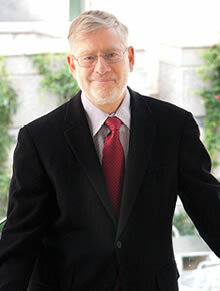 Ron Goetzel, PhD, research professor at Emory's Rollins School of Public Health and director of the Emory University Institute for Health and Productivity Studies. In a study examining employee health spending, researchers at Emory University and Truven Health Analytics found that 10 modifiable health risk factors were linked to more than one-fifth of employer and employee health spending. The results are published this month in the journal Health Affairs. Researchers in the Healthyroads Hero II study matched health spending for 92,486 employees at seven U.S. companies over three years with a list of common risk factors including high blood pressure, high cholesterol, high blood glucose, depression, obesity, stress, tobacco use, poor diet, physical inactivity, poor diet and excessive alcohol use. They discovered that 22.4 percent of the $366 million spent annually by the seven employers and their employees was attributed to these 10 risk factors, all of which could be addressed by evidence-based worksite health promotion (wellness) programs. "This study is particularly important because employer health care costs are continuing to rise at unsustainable levels," says principal investigator Ron Goetzel, PhD, a research professor at Emory’s Rollins School of Public Health and director of the Emory University Institute for Health and Productivity Studies. "We found that the combined spending for these health risks resulted in excess medical costs of about $887 for each employee per year," adds Goetzel. The top five health risk factors that contributed the most per capita per year to excess medical costs were: obesity, physical inactivity, depression, tobacco use and high blood glucose, with obesity contributing the most, at $347 per capita per year. Seven combined risk factors that contribute to heart disease (obesity, high stress, tobacco use, high blood pressure, high blood glucose, high total cholesterol and physical inactivity) resulted in increased costs by 213.6 percent, while four combined risk factors for stroke (high stress, tobacco use, high blood pressure, high total cholesterol) were associated with increased costs by 62.1 percent. Two combined risk factors for psychosocial problems (depression and high stress) predicted increased costs by 60.6 percent. The research also showed that medical expense for an employee with depression is about $2,184 a year – 48 percent more than for an employee without depression. In addition to depression, high blood glucose ($1,653 more per employee), high blood pressure ($1,378 more) and obesity ($1,090 more) were also strongly related to increased health care costs. Workers who were physically inactive ($606 more), used tobacco ($587 more) or had high stress ($343 more) also incurred higher costs for themselves and their employers than workers who did not have these risk factors. The association between workers’ modifiable health risks and health care costs was first established in the widely cited HERO study published in 1998. The Affordable Care Act includes provisions that encourage employers to adopt health promotion programs with the expectation that these programs will reduce health risks, which, in turn, are associated with higher health care costs. "Our findings support the idea that well-designed and properly targeted employer-sponsored health promotion programs could produce substantial savings to U.S. companies," says Goetzel. Goetzel and his coauthors conducted the study with support from Healthyroads, a population health improvement subsidiary of American Specialty Health. He also serves as vice president of consulting and applied research for Truven Health Analytics.